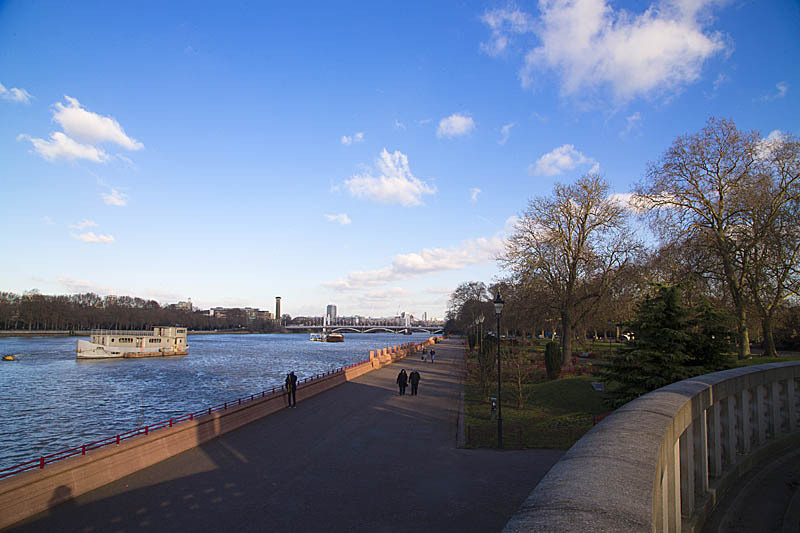 Following a decision by Wandsworth Council, the London rounds of the all-electric series has received planning approval to be held within the grounds of Battersea Park. 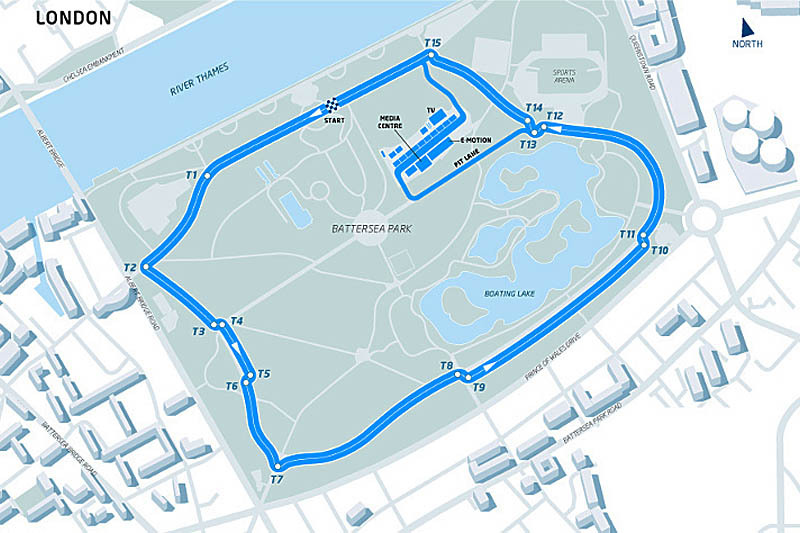 The London ePrix will also encompass two separate races - Rounds 10 and 11 - on Saturday 27 and Sunday 28 June, the weekend before the British GP at Silverstone, increasing the inaugural calendar by one additional race. 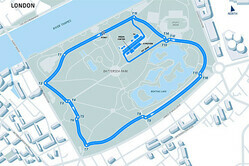 After many months of planning and following lengthy consultations with all parties, the series will host its final two rounds on a specially created 15-turn, 2.92km circuit - designed by FE's London Event Team together with British architect Simon Gibbons. "Discussions for our London Formula E race have been many months in the planning," revealed Alejandro Agag, CEO of Formula E, "so we're delighted to be awarded planning approval by Wandsworth Council. Our thanks must go to all the parties involved for their hard work and co-operation, especially Mayor Boris Johnson, Wandsworth Council and the various stakeholder groups with interests in the location. "Having two races in London - the final two of the season - was an option we discussed at length with Wandsworth Council and means that London could well be where the inaugural champion is crowned, making it a fantastic spectacle for the city and a great platform to showcase sustainable mobility and clean energy. We will now begin preparations for bringing urban electric racing to London but of course that means working closely with all parties and local residents' groups to ensure that we remain sympathetic to all park users." "Formula E is set to be a superb addition to London's sporting calendar," added Mayor of London, Boris Johnson. "The atmosphere will quite literally be electric and Battersea, which is already booming with the buzz of regeneration, will be alive with the excitement that this new, world-class event will no doubt spark." "This is great news for Battersea and for London," said Deputy council leader for Wandsworth Council Jonathan Cook. "Our great city now has another world-class event to add to its calendar. Formula E is an incredible racing spectacle and a showcase for zero emission electric motoring. This sport is changing attitudes to electric cars and I'm delighted Battersea Park will be the backdrop for the season finale." "The track is in beautiful Battersea Park, right next to the River Thames, just across from Chelsea and with some of the most famous features of London's skyline in the background," added Sam Bird, who competes for the UK-based Virgin Racing team. "The layout itself seems to combine fast straights, a couple of high-speed bends, as well as some challenging chicanes and braking zones. I think the London ePrix spectators will be treated to some close, fast racing with plenty of action and overtaking. The organisers have done a good job with this layout and I can't wait to race there, in front of my home crowd!" These things sound weird, and look a bit strange, but they're fast and the racing can be intense. Put me down as a definite "maybe"!" "A bit like Crystal Palace was in the '60s & 70s in plan view but not so beautiful. Come along to Motorsport at the Palace at the end of May (Bank holiday Sunday and Monday) and see just how lovely and friendly motorsport can be. " "Looks a bit like the old Crystal Palace circuit in the South London park. " "Hmm, Goodwood FoS is that weekend. Milk floats vs. Rolling Thunder... "